Never say that Star-Lord isn’t a man of his word. “Guardians of the Galaxy” star Chris Pratt visited Christopher’s Haven children’s hospital in Boston on Friday as payment for a bet that he made with “Captain America” star — and football nemesis — Chris Evans. The two action stars engaged in a playful feud on Twitter last week running up to Super Bowl XLIX in Phoenix, Arizona, between the Seattle Seahawks and the New England Patriots. Patriots fan Evans taunted his rival by writing, “Well, well, well @prattprattpratt, looks like our teams are going into battle … for the next 2 weeks, you are not my friend, you are my enemy.” While Seattle fan Pratt responded: “We both know there’s only one Captain America and his name is Russell Wilson,” referring to the Seahawks quarterback. The superhero pair made a wager on the outcome of the game: Whoever’s team lost would have to visit a children’s hospital in the winner’s city dressed as their respective character from the Marvel universe. After the Patriots won in a shocking 28-24 victory on Sunday, Pratt conceded defeat. 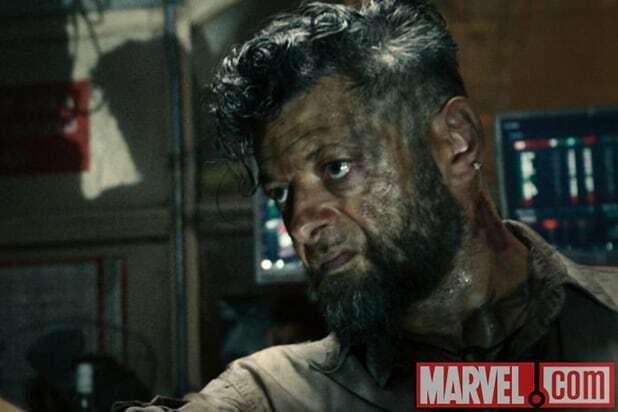 But in a show of true sportsmanship, he and Evans both agreed to visit both hospitals in character, and Pratt posted pictures of the first visit to his official Facebook page on Friday morning as he ate a big slice of humble pie. 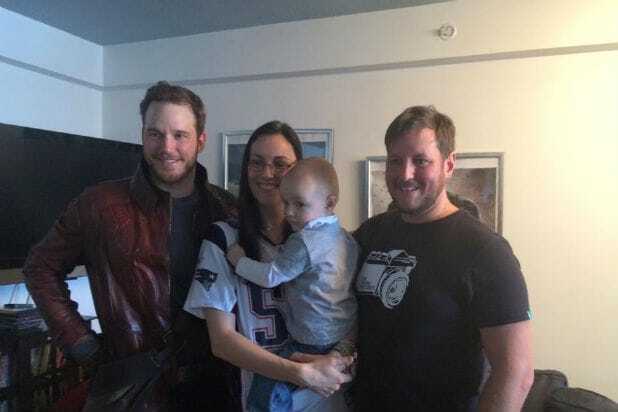 Along with wearing his now iconic Star-Lord costume, the “Parks and Recreation” actor was also forced to wear a number 49 Patriots jersey with his name on it, and hold up a Tom Brady shirt.